MR is aimed at helping people understand their energy use, its links with power production and climate change. We guide people towards positive solutions and transition to low carbon lifestyles. 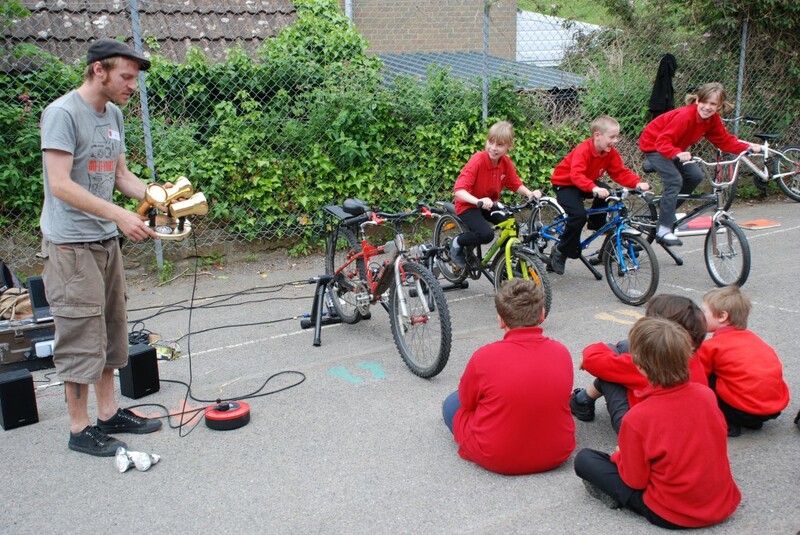 MR uses bicycle power generators as educational tools in schools, colleges and communities. By showing people how many bikes it takes to power household appliances, we help people to understand energy in an enjoyable and engaging way.